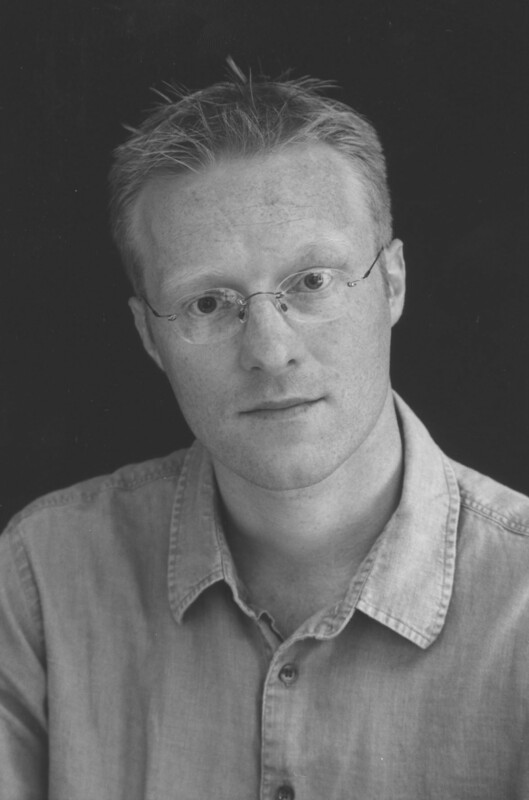 Chris Simms is the acclaimed author of the Manchester based DI Spicer series. In 2007, was named as one of Waterstone’s 25 authors of the future. His novels continue to win awards and gather critical acclaim. Congratulations on the publication of ‘Cut Adrift’. Tell me a little about the book. Well, as tends to be the way with my work, it’s fairly dark – but in a compelling sort of way. Cut Adrift casts a wider net than my previous novels in the sense that it is the repercussions from events in a far-off place that impact on DI Spicer’s investigation into the murder of an asylum-seeker. Soon he’s encountering MI5 agents as he closes on a killer whose skills indicate to Jon he’s dealing with a trained assassin. The central premise of the story, and something you acknowledge in your notes, is the issue of asylum seekers and the difficulties they face in the UK. It’s a subject that it’s maybe all too easy to become blasé about, so how did you approach this element of the novel? Where did the initial spark to write the story come from? What did the research stage involve? The initial spark came from the newspaper story from a few years back about a cargo of rubber ducks that were washed from a freight ship during a storm out in the Atlantic. Carried by ocean currents, the flotilla of bath toys eventually were washed up on the West Country’s coastline. I just thought it would make an interesting story if, contained within certain ducks, were notes written by a stowaway who’d also been washed from the ship. The notes are gradually discovered and, as the series is pieced together, the woman’s horrific plight and the secret she carries are slowly revealed. As luck would have it, Liverpool (an hour on the train from me) is home to one of the UK’s two screening centres: Border Agency facilities where every person seeking asylum in the UK has to first report. An officer showed me round the place and I came away fairly disturbed by how mechanical and cold the process is. I make this DI Jon Spicer’s sixth outing, which seems to make for a pretty decent backlist. It’s striking that Spicer has a ‘normal’ life outside of his job, although it’s not without its difficulties. Is that a deliberate kick-back against the rule-breaking, hard-drinking protagonists you might find in other police procedurals? Before DI Spicer, you had a couple of stand-alone novels published. Are there any plans to step away from it, like Michael Connelly is so skilfully able to, or was writing a series always the plan? Do you finding writing a series character gets harder or easier as time passes? I think I’ll stick with DI Spicer for a couple more, at least – I have two plots I’d like to put him through. I find writing a series character gets easier – most of my novels start out as ‘what if?’ type ideas so I have to work hard to make the characters more than peripheral elements alongside the idea I’m dealing with. By having a series character, I’ve been able to go deeper into his personality with each book – and the personalities of those around him. The series has certainly covered a lot of ground – issues as wide ranging as collecting rare bird eggs, the church and now asylum seekers. Have you got a tried and trusted method for looking for stories, or is it really as simple as finding a topic that excites you? Do you have a writing routine? Ideas for stories pop up in all sorts of ways – it could be from reading a newspaper article (Cut Adrift), idling in a traffic jam and gazing at the rubbish on the central reservation (Outside the White Lines) or passing a burnt out derelict church day-after-day on the train and wondering what happened to it (Hell’s Fire). As for my writing routine – I’m strictly a morning person. I’m in my glorified shed with pencil in hand by nine then four or so hours of frenzied scribbling with no music, no internet and no phone to distract me. I emerge for lunch, usually with another 3,000 words on my lined A4 pad. As you state on your website, your stories are certainly ‘pretty dark, frequently strange and often violent’, does this hint at influences outside of the crime genre? Which writers do you admire? Who would you say has been an influence on your writing? I suppose it does hint at influences outside the crime genre. I was brought up on a diet of ghost stories by my Dad (often read round a campfire in deepest, darkest Exmoor). Novels which have certainly had a formative effect on me would include The Wasp Factory, Perfume, Butcher Boy, Heart of Darkness and The Collector: none ‘orthodox’ crime novels or thrillers, I suppose. The writers I most admire are Graham Greene and Cormac McCarthy. In terms of pure crime, Thomas Harris’ Silence of the Lambs blew me away. And lastly, what’s next? Any specific plans for the future? Cut Adrift is published by Orion pbk £7.99 Released 12.05.2011.